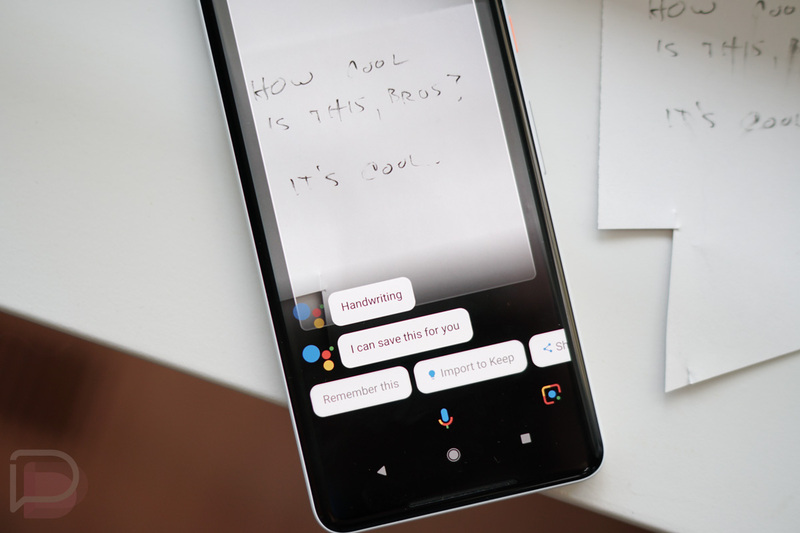 Google Lens is well into its full rollout to Google’s Pixel and Pixel 2 devices, which means that most of you should have it by now. Because of that, we’re starting to see specific uses pop-up that are worth calling out. As you can imagine, since this is a Google product, Lens will likely do much more than the basics Google lays out when promoting it. For example, a reddit user noticed that when pointing at a handwritten note, Lens not only asked if it could save the info for later, but if they wanted to directly import it to Google Keep. 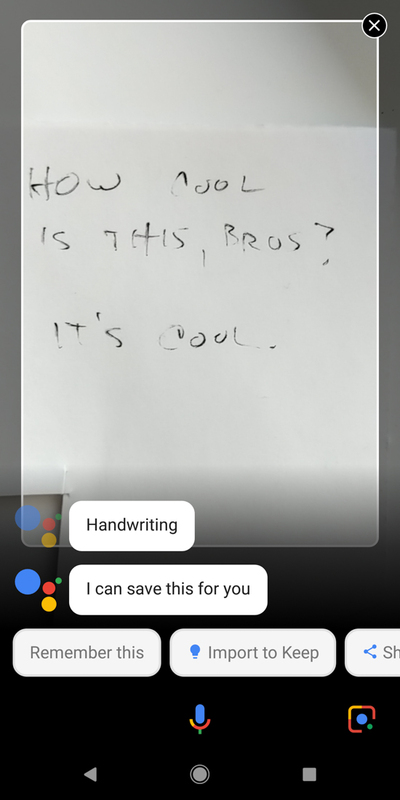 The “Remember this” option isn’t necessarily new to Assistant, yet is still cool in this situation because you can ask Assistant to pull that information up later, which it’ll do as an image. For the Keep stuff, we’re talking about instant note creation, with an image of the text. Now, I know you could take a picture of something and then share it to Keep or open Keep and start a note with an image, but this could be much easier if you think about. Assistant can be fired up quickly by voice or with a squeeze on the new Pixels, followed by a tap on Lens to read out the note, followed by another quick tap to “Import to Keep.” Of course, it could translate text for you that might be something you’d want to remember for later too, which your camera or Keep wouldn’t do before saving. 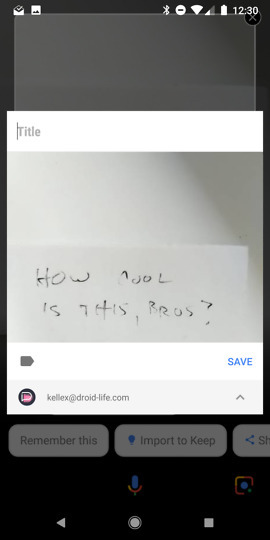 Also, while importing to keep, you get to name the note, add tags, and even choose a different Google account, assuming you have multiple on your phone. Just a cool Lens trick. Anyone finding others? Monday Poll: Which Messaging Service Do You Use the Most?